Last week’s answer. Q: On the table is an egg carton containing 6 eggs. If six people each take one egg, how can it be that one egg is left in the carton? 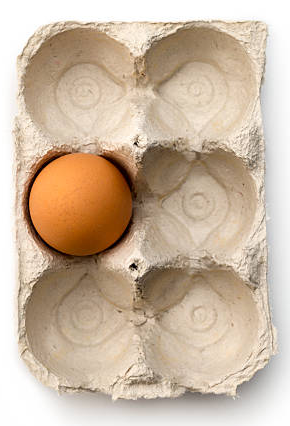 A: The last person took the last egg whilst it remained in the carton. This week’s lateral challenge is. Q: Two hitch-hikers were waiting for a lift, watching for passing cars. One was facing east toward the mountains, and the other facing west toward the sea. “You’re looking a bit rough this morning”, said one to the other without changing direction. How could they tell?